AgRay Vision is built on over 25 years of experience in the potato sorting industry. Its new system takes proven modules - singulation, x-ray, slide ejection, computing - and integrates them into a seamless system for accurately sizing, sorting, detecting internal and external defects and shape grading of potatoes. Singulation of the potatoes is important to achieve accuracy. 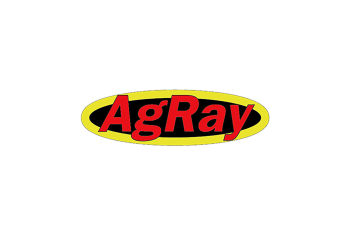 AgRay uses a patented roller bearing herringbone singulator. Slide ejection is arguably the best system for gentle handling of potatoes. 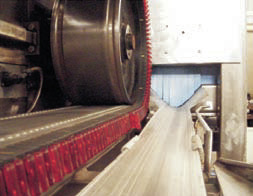 Potatoes are gradually nudged off a single conveyer belt onto cross conveyers at speeds of 250 feet per minute. With the AgRay Vision System, potatoes can be touching each other and still eject correctly. Slide ejection systems have two times the capacity of cup sizers and direct solenoid-to-potato type systems. X-rays have been used in the potato industry for many years, but up until now only as a go-no-go, one size fits all basis for detecting hollow heart. There has been very little, if any, adjustment capabilities to internal defect until now. Since x-rays directly measure the density of the potato and since density and weight are directly related, determining the weight of each potato is straight forward. In addition, x-ray weight determination is much more accurate, sometimes orders of magnitude more accurate, than existing methods. Other methods typically use what amounts to a silhouette of the potato to determine a volume and then use a density factor to obtain weight. If the potato has any depressions, dimples, bulges, etc. the volume will be inaccurate resulting in an incorrect weight calculation. 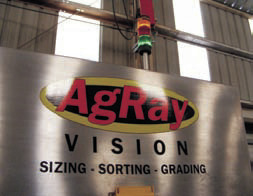 AgRay Vision System sees 100% of your product. Because there is a map of the density across the potato it is possible to determine internal defects such as hollow heart, worm damage, internal rot, etc. Since the amount and size of these internal defects allowed vary considerably across varieties and markets, it may be desirable to segregate the defects into several categories. For example, if hollow heart is small it may be allowed as a number 1, but bigger hollow heart might be a number 2, while internal worm damage might be sent to a dehydration plant. With the go-no-go machines all defects have to be sent to the same place, typically dehydration. 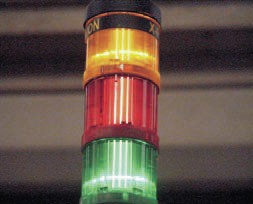 This machine has the ability to learn what is acceptable and direct it to the appropriate conveyor. AgRay Vision uses complex proprietary morphological detectors to identify internal defects. The system can also detect misshapen potatoes (heart, banana, bottle, barbell and other shapes). In addition, the system can identify knobs, depressions, growth cracks, digger cuts and excessive dirt. 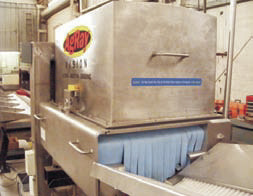 The AgRay software has the ability to process two potatoes individually even when they are touching, thus reducing recycling and increasing overall throughput.